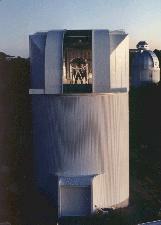 The Bok 2.3m Telescope is located on Kitt Peak in southern Arizona, and is part of the Kitt Peak National Observatory. The Bok telescope is a private telescope operated by Steward Observatory. Below are links to the optical and instrument specifications to assist observers. The weather forecast at Kitt Peak is provided by the Kitt Peak National Observatory.